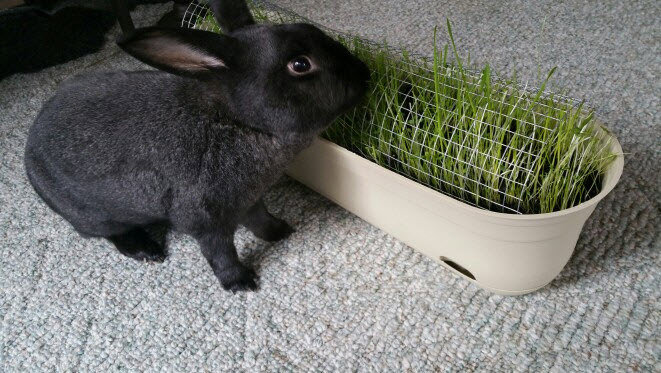 Make a planter that allows your rabbit to graze without killing the entire plant! Get a rectangular planter. Fill the planter with soil and plant seeds or transplant small plants into the soil. Cut a rectangle of chicken wire, bend the wire over the planter, and tuck either side of the wire into the soil.